It vexes me when words are used improperly and doubly so when that use advances a cultural stigma attached to the achievement of excellence. In much of the rhetoric leading up to, and following, the recent presidential election, the words “elite” and “elitist” were used almost interchangeably–a practice that is somewhat incorrect even though the words resemble each other. According to the Cambridge Dictionary, “elite”(adjective) is defined as: “belonging to the richest, most powerful, best-educated, or best-trained group in a society.” The word can also be used as a noun. According to the Cambridge Dictionary, “elitist” (adjective) is defined as: “a characteristic of the elite, and [emphasis added] especially not caring about the interests or values of ordinary people.” It can also be used as a noun. The dictionary entry also notes that the word is often used in a disapproving manner. 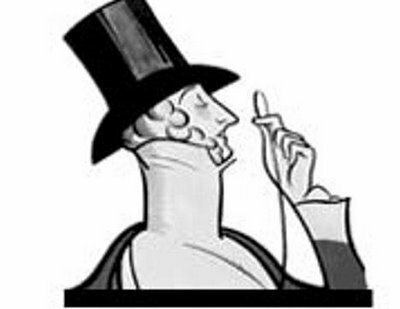 If we have to hang the black hat (“bad guy” label) on one of these words, it should be “elitist.” This is the word people mean to use (but often use “elite”) when they are speaking or posting about “elites” who are out of touch with, or don’t care about, the needs, interests or values of those who are not a part of their group (or, in some cases, of anyone besides themselves). Sure, you might say it is a fine line, but it’s a line that I believe shouldn’t be crossed. Why? Well, because we don’t want to disparage people just because they may be wealthier, more powerful, better-educated or better trained–elites. Being one of the best baseball players, accountants, doctors, carpenters, computer engineer’s, plumbers, writers or stock brokers isn’t inherently “bad.” We don’t want to stigmatize success–ever. Personally, I’d be proud to be called an elite. ~ by kipwkoelsch on November 22, 2016. This entry was posted on November 22, 2016 at 9:12 pm and is filed under Uncategorized.You can follow any responses to this entry through the RSS 2.0 feed.You can leave a response, or trackback from your own site. Next: Stop and talk. Stop and notice.